This statement explains how and why we use your personal data in research and your rights in relation to that data. This notice supplements the specific information that you have already been given (on a Participant Information Sheet (PIS) or a consent form) in connection with your participation in a research study or project run by academic researchers at the University of Plymouth. The University (“we” or “us”) is the Data Controller of your information and is registered with the Information Commissioner’s Office under registration number Z7546246. How do we collect and use your data? All projects are unique and the types of data collected will differ. The PIS will provide details of how your data will be collected and used for the project you are participating in. Your data will generally be collected from you but may also be provided by other organisations such as the NHS. Researchers will only collect information which is essential for the purpose of the research and will usually anonymise it as quickly as possible, so that individuals cannot be recognised in further analysis. Where you might be identifiable in research outcomes (e.g. a quote or a photograph), we will seek your explicit consent. Your data will be shared within the research team conducting the project you are participating in. Any wider sharing with other parties or international transfer arrangements, will be detailed in your PIS. The University’s charitable objective is the advancement of education and research for the public benefit so in using your personal data in research we are doing so to perform a task in the public interest. If any special category personal data (e.g. race/ethnic origin, genetic/biometric data, health, religion, sexual orientation, political opinions, trade union membership or criminal conviction data) is included, the legal basis will be that it is “necessary for archiving purposes in the public interest, scientific or historical research purposes or statistical purposes”. The long term use (and, where applicable, re-use) and retention of your personal data is dependent on the specific purpose of the research project you are participating in. Your PIS will explain how your personal information will be retained. As a data subject, your rights in relation to your personal data include the right to be told how your data will be used (including any automated decision making or profiling), to access, correct, erase, restrict or object to the use of your data and the right to data portability. However, please note that these rights do not apply where personal data is processed solely for research or archival purposes because the integrity, reliability and accuracy of the research could be affected. If you withdraw from a study, we may not be able to remove the information that we have already obtained. The PIS will explain at what point in the study your personal data can be withdrawn. If you have any questions about a particular research study you are participating in, please use the contact details provided in the PIS. 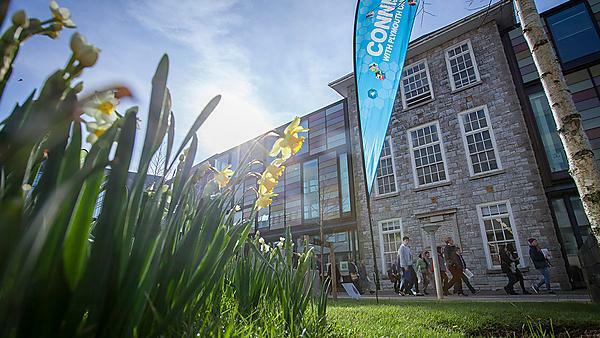 If you have a general question about how your personal information is used by the University, wish to exercise any of your rights or make a complaint about the way you believe your data is being processed, please contact the University’s Data Protection Officer: dpo@plymouth.ac.uk. If you have a complaint and you remain dissatisfied with how your complaint has been dealt with you can take it to the Information Commissioner’s Office (ICO) for a review. They can be contacted at casework@ico.org.uk.